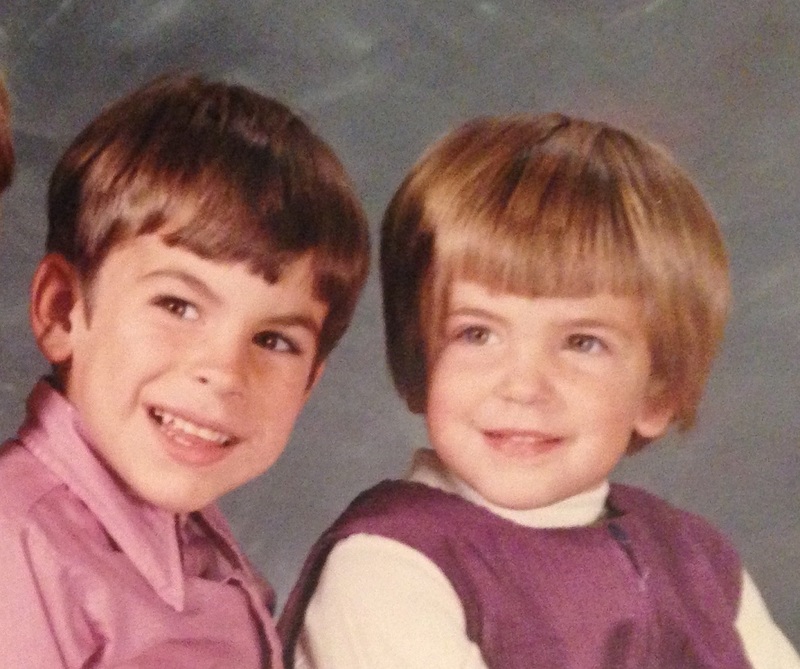 I enjoyed putting together my last post, “My Sibs and Me.” So much so, in fact, that I have to tell one more sibling story. As I’ve mentioned many times in the past, I am writing a memoir. In the process, I have dusted off several boxes of old books, letters, journals and photographs. The last box I opened had several reports and personal mementos from my primary and secondary school years in Ludlow, Vermont. Among these items was a typed, untitled, one-page story with an “A-” in red ink at the top. I have no idea how old I was when I wrote it, or what my assignment was. The story, however, is one that I have told many, many times through the years, even very recently. In all of those recountings, though, I never quite told it the same way that it was typed by my young self on a nearly transparent sheet of typing paper. Below is exactly what was written on the typed page that I found. When I was about four, my family lived in Merrimack, New Hampshire. Our house had some woods and a swamp behind it. One day, my brother, Wayne, and I decided to follow our cat, Gimpy, around to see where he goes during the day. The cat started to head for the woods, so Wayne and I chased him. I don’t remember how long we followed Gimpy, but somewhere in the middle of the woods, we lost sight of him. Finally, I went in the swamp and got wet all the way up to my chest. After a bit of walking we reached a place we’d seen before. “No, stupid, it’s this way,” Wayne said. Wayne went his way and I went mine. When I couldn’t see Wayne any more, I started screaming and (then turned around and) caught up with him. I followed him through the woods and finally we were out of the woods and in our back yard. Mom was standing next to the house yelling at us. We ran to Mom and hugged her. I think she was crying. Finding my old school essay allowed me to see this childhood episode through my own eyes as a child. I imagine myself being too embarrassed at the time that I wrote it to acknowledge that I believed my Mom when she said that our cat went to school. Therefore, I completely left that part out, despite it being a fundamental part of the story. This tale is a special sibling story to me, because it’s a microcosm of my relationship with Wayne when Billy wasn’t around. We had our differences, but we still turned to each other and, ultimately, bonded. I’d love to hear other childhood sibling stories. Please comment on this post with one of your favorites.